Fiction’s query solution is integrated into the page builder and allows the site administrator execute custom queries around page elements. 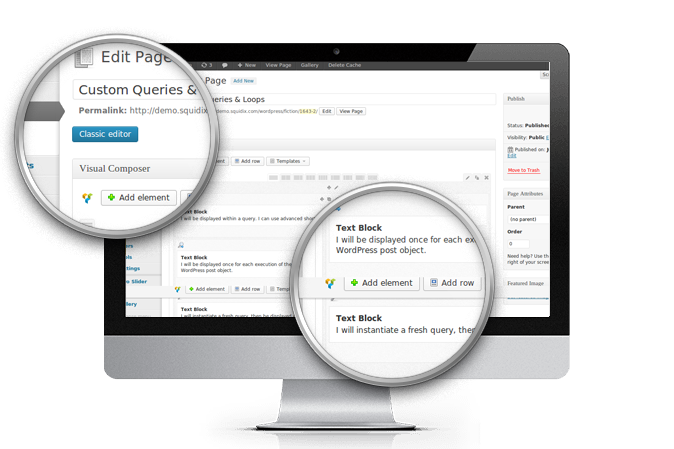 These queries can utilize the extremely powerful WordPress query API. This allows for extreme flexibility, far above and beyond what can be offered with pre-built elements. Create a blog, portfolio, or carousel of either based on your specific criteria – and place it anywhere on any page.